Based on any measure, whether it is miles shipped, number of routes, sales volume, number of employees, number of facilities, or number of trucks, U.S.Art is the largest fine art handler in the United States. 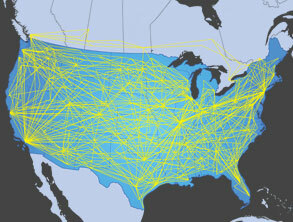 Our company owned network allows us to ship to and from any point in the US on a weekly basis. Simply put we can get it there faster, safer and more efficiently while providing the best quality in the industry. 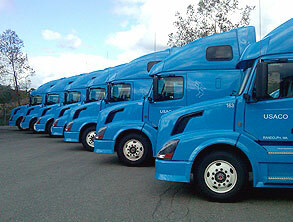 U.S.Art owns the largest specialized art handling fleet in the United States. Our over the road trucks are equipped with spacious double bunk sleepers for a courier friendly environment that includes a courier only bunk! We are the only company in the nation that can claim this on our tractor trailers as well as our straight trucks. U.S.Art goes Everywhere, Every Week – U.S.Art has weekly scheduled shuttles to destinations throughout the continental United States. Far more than any other art shipper in the United States. 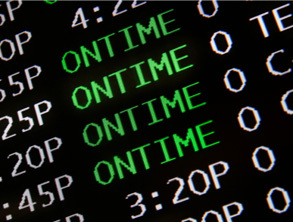 We do not post schedules or truck placements as that constitutes a security breach.